Much of the magic of technology doesn’t come from hardware these days—it’s in the software. 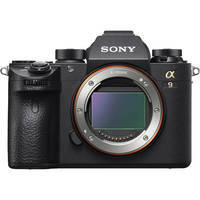 Sony is showing us how good cameras can be even better, with today’s launch of firmware version 5.0 for the a9—the company’s blazing-fast flagship mirrorless camera. 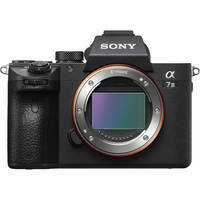 Already packing spectacular technology in the form of a full-frame stacked CMOS sensor and an AF system capable of 60 calculations per second and 20 fps shooting without any blackout, the a9 can now leverage AI and machine learning to make autofocus even better. Real-time Tracking AF is the hallmark addition in version 5.0, because it analyzes color, distance, and pattern recognition to identify subjects, lock on, and not let go. Compared to traditional tracking, which relies solely on color and/or contrast, this AI-backed tech can look at the image and identify the subject as they move about—even when other objects may block the view momentarily. Tack on Real-time Eye AF and you have an insanely capable system that will ensure you never miss the shot. There are video benefits, too. A Fast Hybrid AF mode will more reliably stay locked onto subjects during movie recording and a new AF Area Circulation setting permits faster adjustment of the AF point. Normally, I’d be more than satisfied to receive an update with just these AF enhancements. Sony hasn’t stopped there with version 5.0. There are improvements to image quality coming to the a9. The camera will now be more accurate in its rendition of subtle changes for smoother, more natural gradations and improved auto white balance. Usability and workflow got tweaked, too, with the addition of a My Dial menu, a revised Custom Key menu, improved touchpad capabilities, enhanced dual-card functionality, and enhanced tagging. You can download and install version 5.0 for the a9 now. Just be sure to visit Sony’s Support Site for more details. Another thing: Sony is upgrading the PlayMemories Mobile app to Imaging Edge mobile, while also adding the Transfer & Tagging Add-On for setting up an instant delivery workflow with background transfer via the a9’s FTP function. You can also use voice input for text captioning for speeding up a team workflow. These apps and updates will be available for iOS and Android. The a9 is the cream of the crop in Sony’s lineup, but for the rest of us with a7R III and a7 III cameras, we are getting some of the fun, as well. Coming, in April 2019, is firmware version 3.0 with Real-time Eye AF in AF-C and Real-time Eye AF for Animals. There is also an integrated interval function for time lapses that is able to shoot 9.999 shots in a row with exposure tracking sensitivity adjustments. Beyond that, the a9 will receive Version 6.0 sometime in the Summer 2019 where it will get Eye AF for Animals.